AFC Bournemouth striker Callum Wilson has been named in the England squad for this month’s European Championship qualifiers against Czech Republic and Montenegro – one of a host of Cherries players who will be on international duty. Fellow Cherries frontman Dominic Solanke has been included in the Three Lions under-21 squad for friendlies against Poland and Germany – with the sold-out Germany game to be staged at Vitality Stadium. Wilson, who netted on his England debut in a 3-0 win against the United States at Wembley in November, has kept his place after returning from a seven-week injury layoff. The 27-year-old scored on his comeback in front of watching England manager Gareth Southgate when he paved the way for the Cherries’ 2-0 victory at Huddersfield on Saturday. England open their Euro 2020 qualifying campaign against Czech Republic at Wembley on March 22nd before travelling to Podgorica to face Montenegro three days later. Wilson will link up with the squad at St George’s Park to begin their preparations on Monday following the Cherries’ Premier League clash with Newcastle on Saturday. Solanke, who has scored eight times in 15 appearances for England under-21s, is in the squad for friendlies against Poland at Ashton Gate on March 21st and Germany at Vitality Stadium on March 26th. 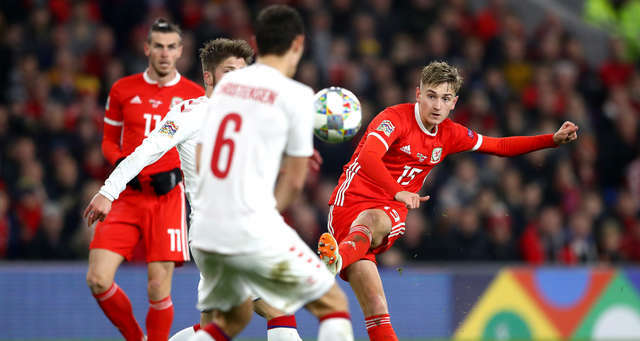 David Brooks and Chris Mepham have both been named in the Wales squad for a friendly against Trinidad & Tobago and a Euro 2020 qualifier against Slovakia. Wales meet Trinidad & Tobago at the Racecourse Ground in Wrexham on March 20th before hosting Slovakia at the Cardiff City Stadium on March 24th. Nathan Ake will be hoping to add to his 10 caps for Netherlands when they host Belarus in Rotterdam on March 21st and Germany in Amsterdam on March 24th in a Euro 2020 qualifying double-header. Joshua King is in contention to lead the line for Norway when they meet Spain in Valencia on March 23rd and Sweden in Oslo on March 26th, both in Euro 2020 qualifiers. Ryan Fraser, capped six times by Scotland, will be hoping to feature in their Euro 2020 qualifiers against Kazakhstan on March 21st and San Marino at Stadio Olimpico di Serravalle three days later. Jefferson Lerma is in the Colombia squad for friendlies against Japan in Yokohama on March 22nd and South Korea in Seoul on March 26th. Goalkeeper Mark Travers has been named in the Republic of Ireland squad for their Euro 2020 double-header against Gibraltar on March 23rd and Georgia in Dublin on March 26th. Alex Dobre, who is enjoying a fruitful loan spell with Yeovil, has been named in the Romania under-21 squad for friendlies against Spain in Granada on March 21st and Denmark in Marbella on March 25th. Goalkeeper Jordan Holmes will be hoping to feature for Australia in their AFC Under-23 Championship qualifiers against Cambodia, Chinese Taipei and South Korea, all of which take place in Cambodia. Australia are looking to eventually qualify for a place at the Olympic Games in Japan in 2020.